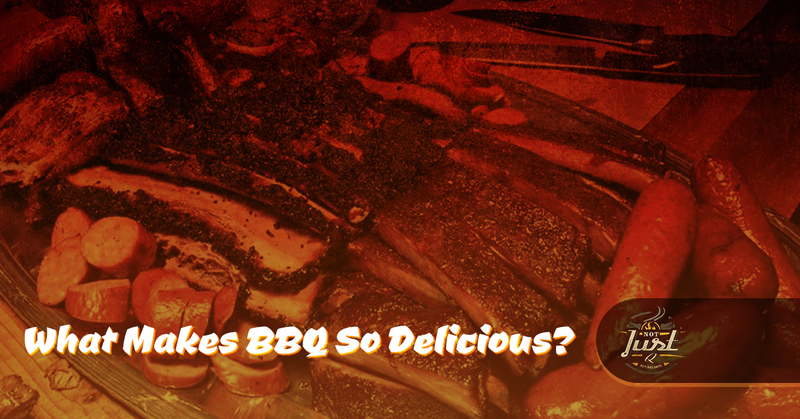 What Makes BBQ In Dallas So Delicious? The question in today’s blog is: What makes BBQ so delicious? Is it the memories that accumulate when you take that first bite of beef, ham, or chicken? Is it the blend of delicious spices or the smell of grilling meat that brings you back to those hot summer days and sticky nights? Do you just love the savory taste of the sauce on the meat or the simple fact that it fills you up so quickly? There are a lot of reasons to absolutely love BBQ, especially if you’ve tasted Not Just Q’s. Catering to the Dallas area, our BBQ is some of the best that you can find. That’s not just a claim we make either — the Best Of Dallas® Food And Drink actually named us the Best Barbecue Food Truck in 2017. 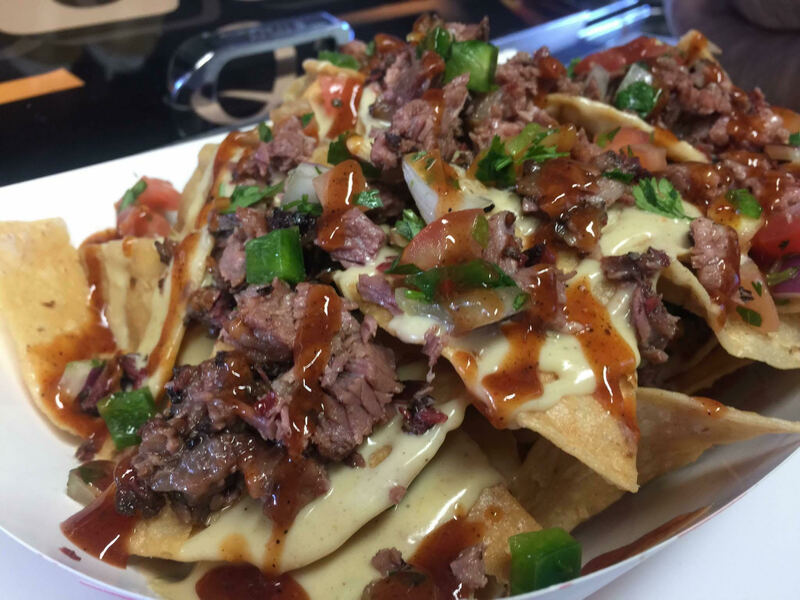 From catering to our food truck, you can expect the best BBQ in Dallas. 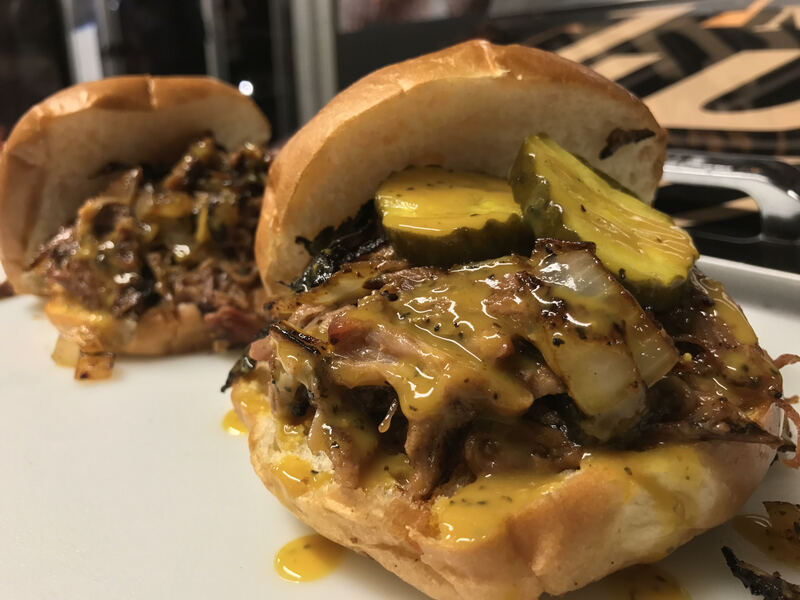 At Not Just Q, we have a passion for BBQ. For years and years, we have perfected the art of grilling, our homemade sides, and the deliciously addictive sauce that we slather on our meats. If you’re reading our blog, then you’re probably also a fan of BBQ. When we dive into the question of why is BBQ so delicious, we’re going to explore the science behind it. The chemistry of grilling meat is pretty fascinating. It involves the entire process from the beginning before it even touches the grill to when you put it on the plate to serve and consume. The chemistry starts with the look of the meat. The reason that the meat is red is because of the animals’ behavior. A cow that moves a lot and has long stretches without fatigue will have redder meat because of the myoglobin in the meat that is a special protein. The more of this special protein the meat has the redder it will be. The look of the meat is what draws in your appetite because you know what to expect when you take that first bite. Once you place that meat on the grill, the smoky smell transforms into that smoky taste. To get the right BBQ flavor, you’ll need to use some charcoal, which is actually wood that has been heated without oxygen. As the charcoal on the grill burns, you’ll experience a phenolic compound, which is what gives off that smoky aroma and plays into the taste of the grilled meat. When the meat is on the grill, then the fat makes its way onto the coals and begins to form polyaromatic hydrocarbons, which can become carcinogens. Once the meat has gotten off of the grill, then you can expect that smokey taste and the flavor due to the charcoal and the fat. As you bite into the meat, then the Maillard reaction occurs. The Maillard reaction is the combination of yummy flavors of barbecue meat. The combination of amino acids and sugars is what makes the meat react and your stomach rumble at the smell. What makes the meat delicious is the type of meat that it is, the temperature it’s cooked at, and the acidity. Of course, what brings out the delicious tastes is the homemade BBQ sauce what really makes it a delight to eat. Are you hungry now? Check out Not Just Q and dive into some of the best BBQ that will touch your tongue.